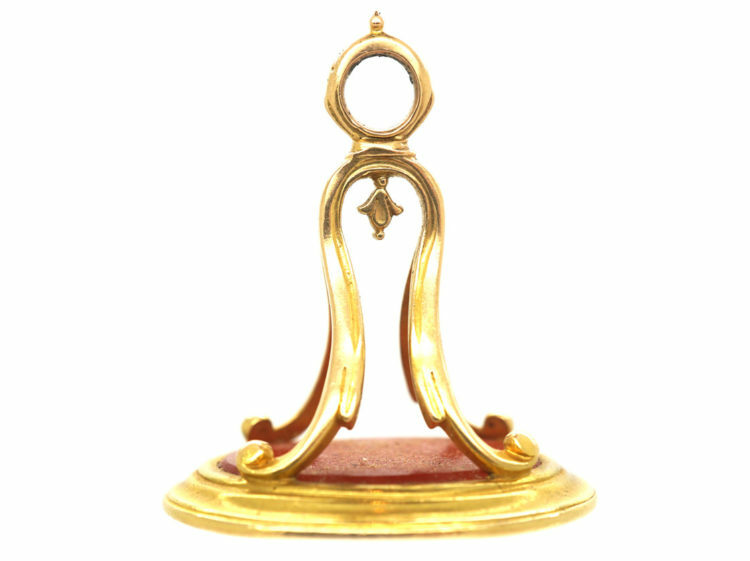 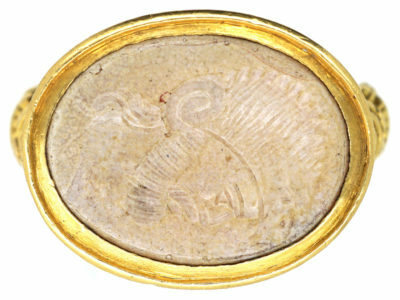 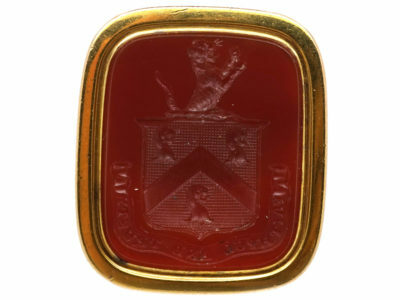 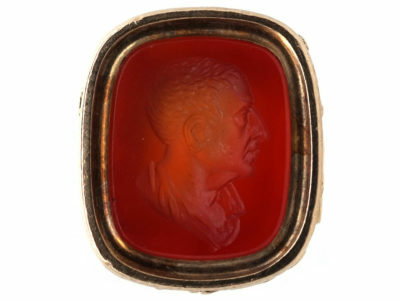 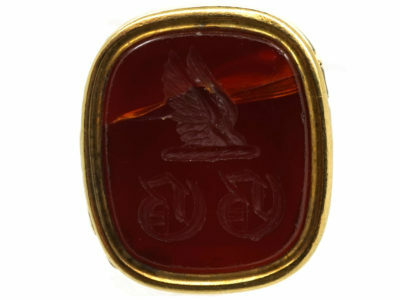 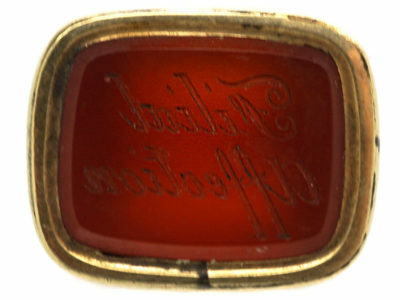 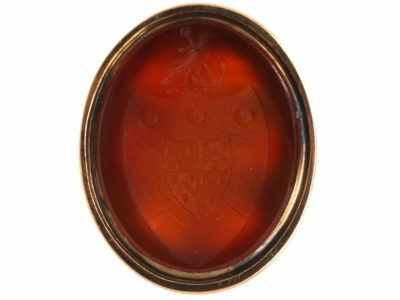 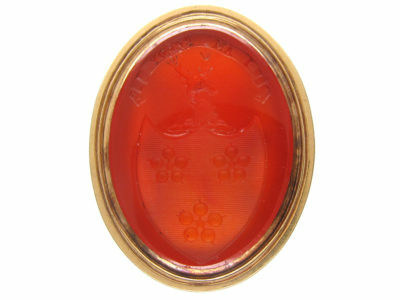 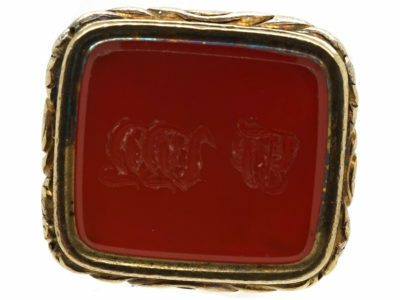 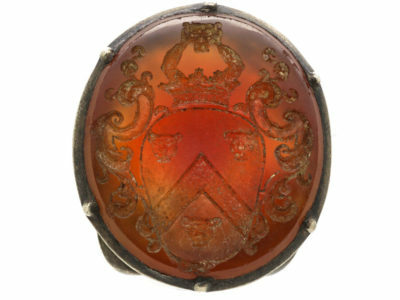 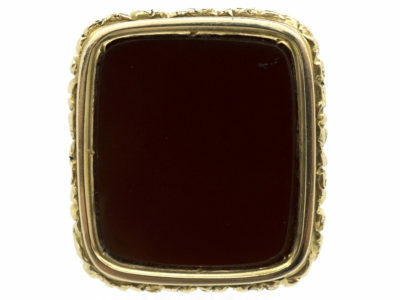 A good 9ct gold cased Georgian seal set with a carnelian on the base with an intaglio of a crest with a lion rampant above. 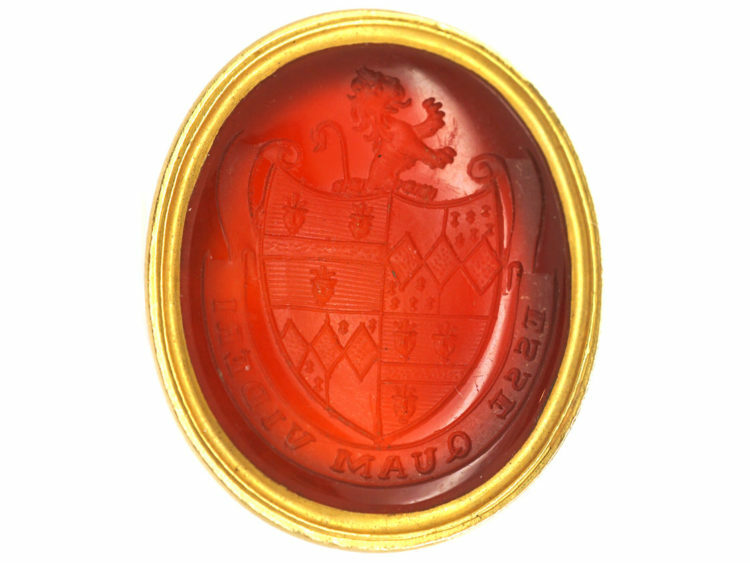 There is a motto “Esse quam videri” which is a Latin phrase meaning “To be, rather than to seem”. 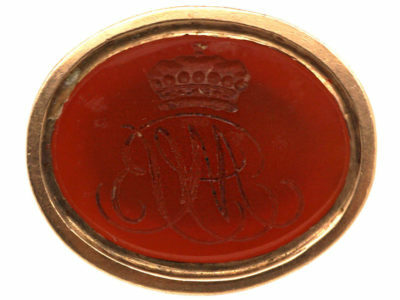 It and variants have been used as a motto by a number of different families. 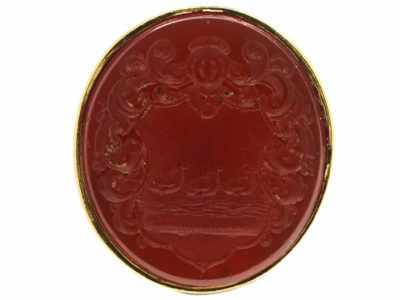 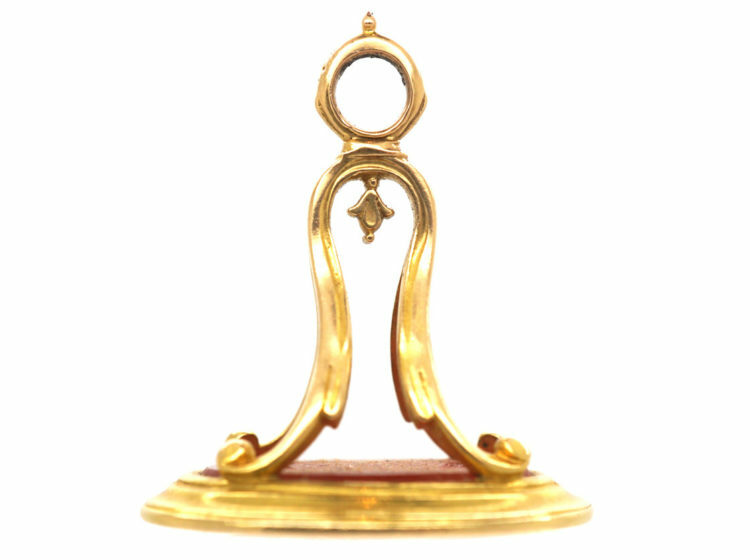 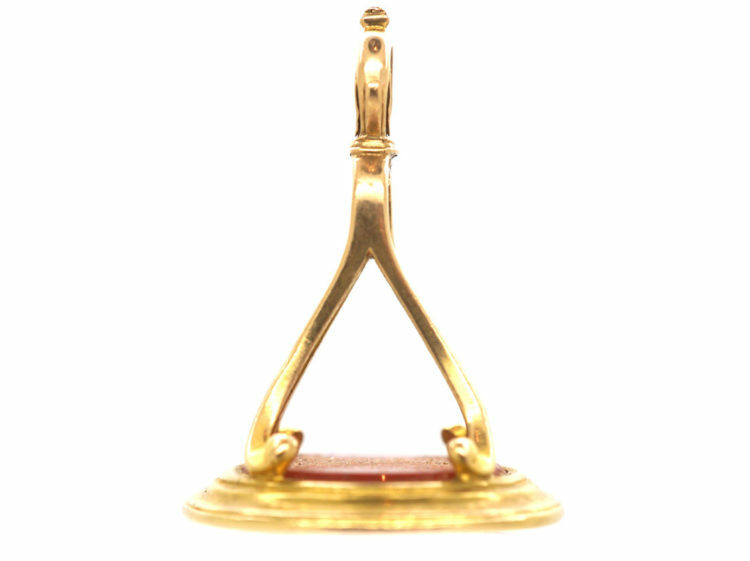 These seals are always very well; made and interesting historical objects to wear on a chain on their own or with other pieces.